Egypt is expected to experience a days-long heatwave starting Thursday, which also marks the start of the Islamic holy month of Ramadan. The head of the Egyptian Meteorological Authority (EMA) Ahmed Abdel-Aal said wide swathes of the country will experience a gradual temperature rise by 4-7 degrees Celsius continuing through Tuesday, state news agency MENA quoted him as saying. Temperatures in the capital Cairo are predicted to rise to 36 C on Thursday and 39 C on Friday, EMA said in its four-day forecast published on its official website. Forecasters say the weather will be "very hot" during daylight hours when Muslims fast. Egypt's second city of Alexandria is forecast to receive a high of 29 C on the first day of Ramadan and 30 C on the second. Highs in Upper Egypt will average between 38-42 C on Thursday and Friday. 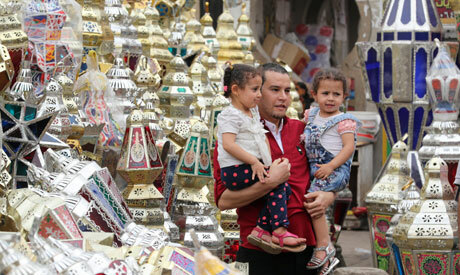 The weather will be much cooler at night, when lows in Cairo and most parts of the country will average between 19-21 C.
Ramadan is the holiest month of the Islamic calendar. Practicing Muslims abstain from food and drink during daylight hours. This year, Muslims in Egypt will fast for more than 15 hours daily. On Wednesday, a high of 33 C is expected in Cairo with a low of 20 C.